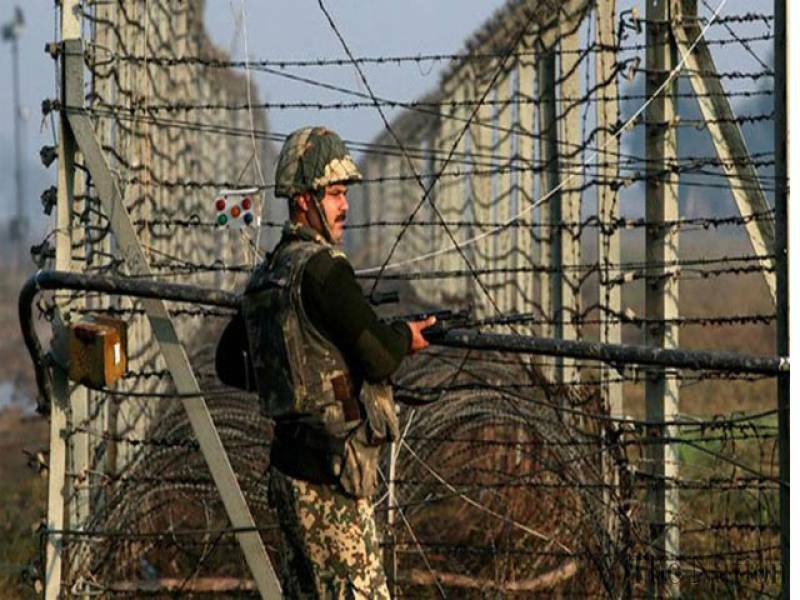 India is constructing a ten feet high wall across the 197 kilometer long Line of Control (LOC) in the disputed territory of Jammu and Kashmir. The wall, a strong embankment, will be in addition to the fenced wire that was constructed by the Indians about ten years ago. Pakistan’s permanent representative in the United Nations Dr Maleeha Lodhi has raised a complaint against the wall because this piece of architecture will make the LOC a de facto boundary between Indian and Pakistani controlled Kashmir. Pakistan considers this a crude way of settling a long outstanding dispute. Relations have steadily deteriorated between India and Pakistan. They have come a long way since the Musharraf formula of 2006 that sought to make the LOC irrelevant and make it porous, encouraging trade and free movement of Kashmiris from both sides at selected points. Ever since Naraendra Modi took over as the prime minister of India in May 2014, he behavior towards Pakistan has been very aggressive, to say the least. The construction of the wall appears to be another combative action to browbeat Pakistan. The cocky Indian stance has no doubt been spurred by two developments. One, was the joint statement issued at the end of the sixth annual India-U.S. Strategic Dialogue. Second, is the statement made by the leading Republican candidate Donald Trump saying that the US would use India to keep Pakistan in check. The plan to build the Kashmir Wall must have been in the works for quite some time and certainly predates the developments cited above. Now what good are walls? Can they prevent infiltration of terrorists or keeping people apart or defending a territory? I don’t think that is the case. In the first decade of the century the Indians spent billions of rupees to erect a barbed wired fence along the LOC. This fence was extended to cover the entire length of the international border. More money was spent to light the fence. An air traveler can now clearly discern the border between India and Pakistan brightly lit during the night. Such measures are only temporary and makeshift and cannot stop any person determined to cross this hurdle. Military walls like the Maginot Line and the Barlev Line and for that matter the Great Wall of China proved ineffectual to stop invasions. The Maginot Line, a fortified embankment with weapon nests constructed by the French was bypassed by the blitzkrieging German Panzers in the opening gambit of the Second World War. The Israeli Barlev Line along the Suez Canal was stormed by assaulting Egyptian infantrymen and Special Forces and the high and mighty Chinese Great Wall (visible even from the moon) could not keep the Ming dynasty safe. The Berlin Wall couldn’t prevent determined East Germans from fleeing to the West. It was ultimately demolished brick by brick by jubilant Germans as the East German collapsed in 1991. The Israelis have constructed a number of walls and fences to keep the Palestinians hemmed in the Gaza strip and the West Bank but arms, ammunition and essential utilities are still smuggled in. This summer Fortress Europe crumbled as refugees fleeing their homelands in the troubled Middle East hit the beaches after risking their lives and limbs in rickety boats. So no walls are only temporary measures. These can keep people separated or enforce historical wrongs. They have a shelf life and can never be permanent.